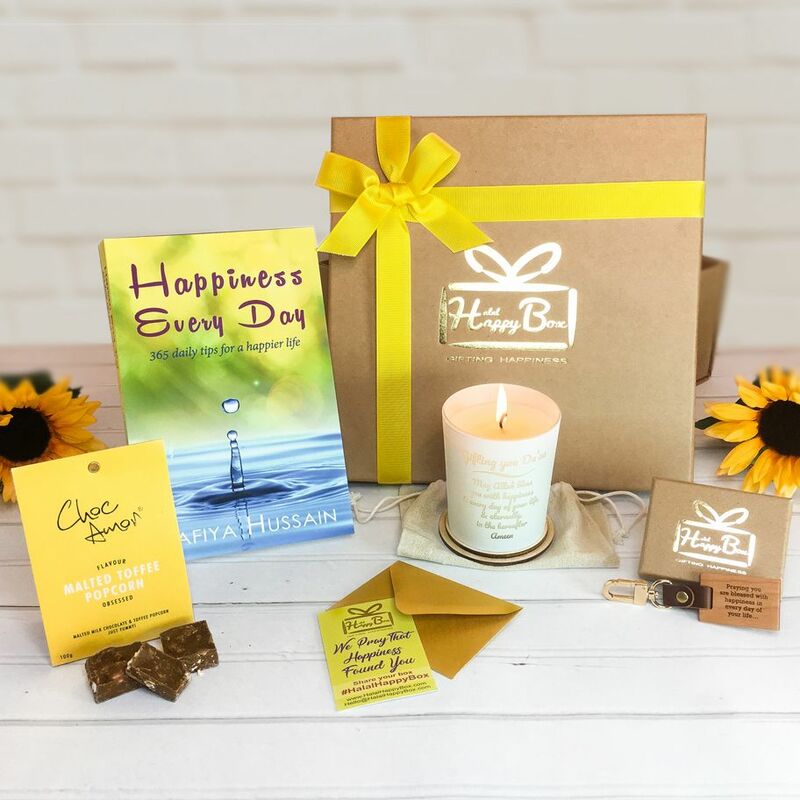 This happy box is a touching luxury islamic gift box for someone you really care about. 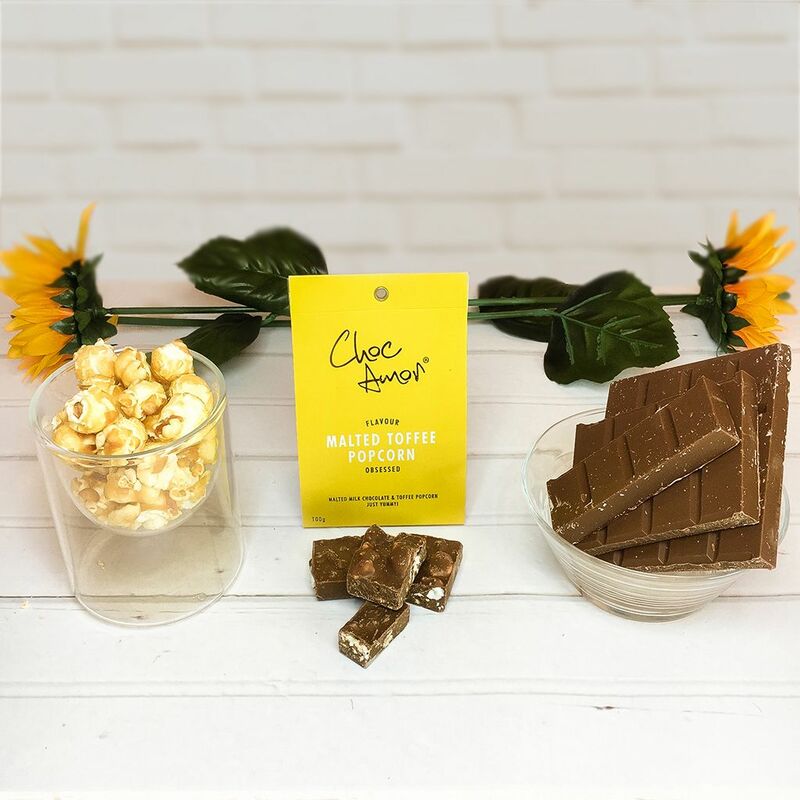 It’s thoughtfully been put together to give the receiver the core elements of happiness for life - a book that will inject happiness into each day of their life, a keyring with a du’aa for their happiness that can be carried with them at all times, a candle that glows delightfully with a happy prayer, and of course, a little chocolate treat because they deserve that! 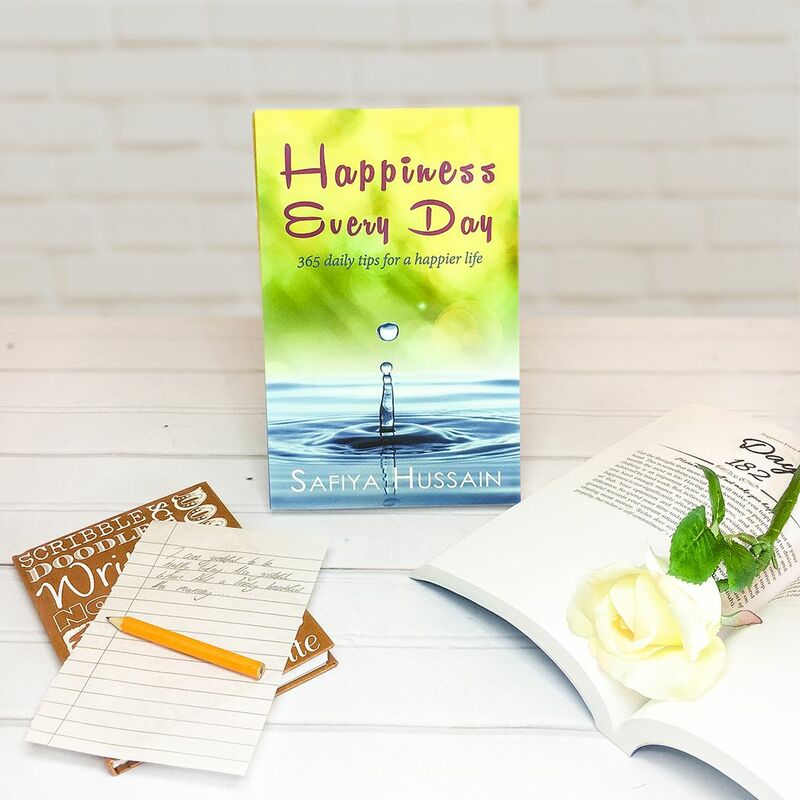 The life essential ‘Happiness Every Day’ Book by Safiya Hussain, consisting of 365 daily tips (written from an islamic angle), which will help inject happiness into each day of your recipients life, and not only that, will also help them to achieve eternal happiness in the hereafter. Description: The moment you opened your eyes this morning, your soul began its daily pursuit of happiness; the search for comfort, meaning, peace and joy in the day. This book is here to help you with that everyday pursuit. Written from an Islamic angle, it consists of 365 tips that will inject happiness into each day of your year. This book will; push you to take practical steps to find pleasure, teach you the art of positive thinking, uncover your eyes to show you the beauty around you, entice you to be a better person, instil love into your heart for God and, most importantly, serve to remind you of the ultimate purpose of your life. Happiness Every Day offers to be your good companion that will stay with you every single day, for the rest of your life on Earth. But not only that, it also offers to help you on your journey to Heaven; the place of eternal happiness. There is nothing that can beat the islamic gift of du’aa/prayer. 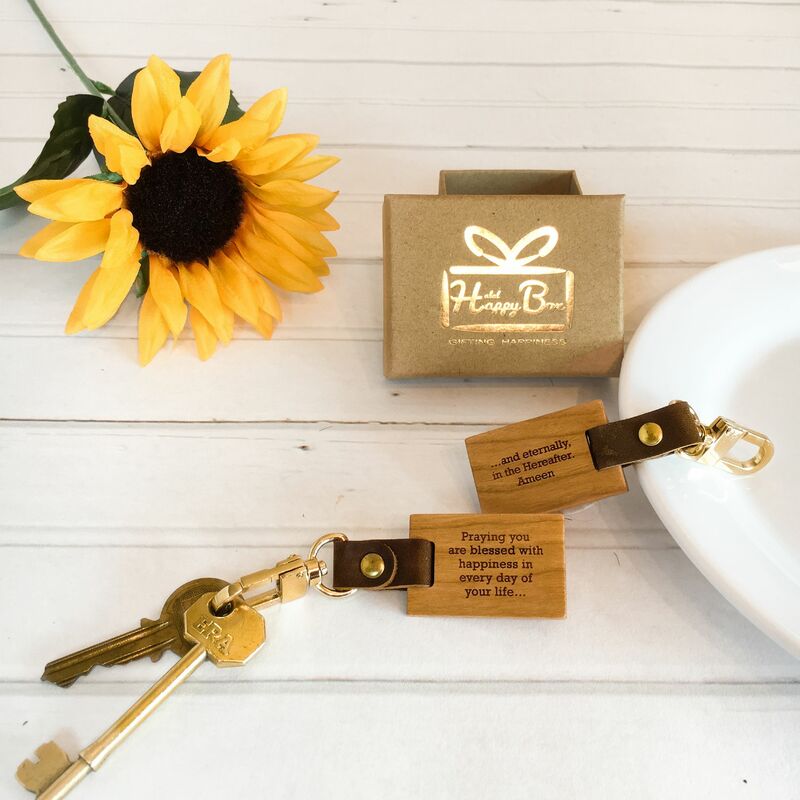 What better way to do this by gifting a luxury candle with a genuine prayer of happiness glowing through it? And one that can be re-used time and time again! The candle is etched with the du'aa: ‘Gifting you du’aa ~ May Allah bless you with happiness in every day of your life & eternally in the hereafter. Ameen’. 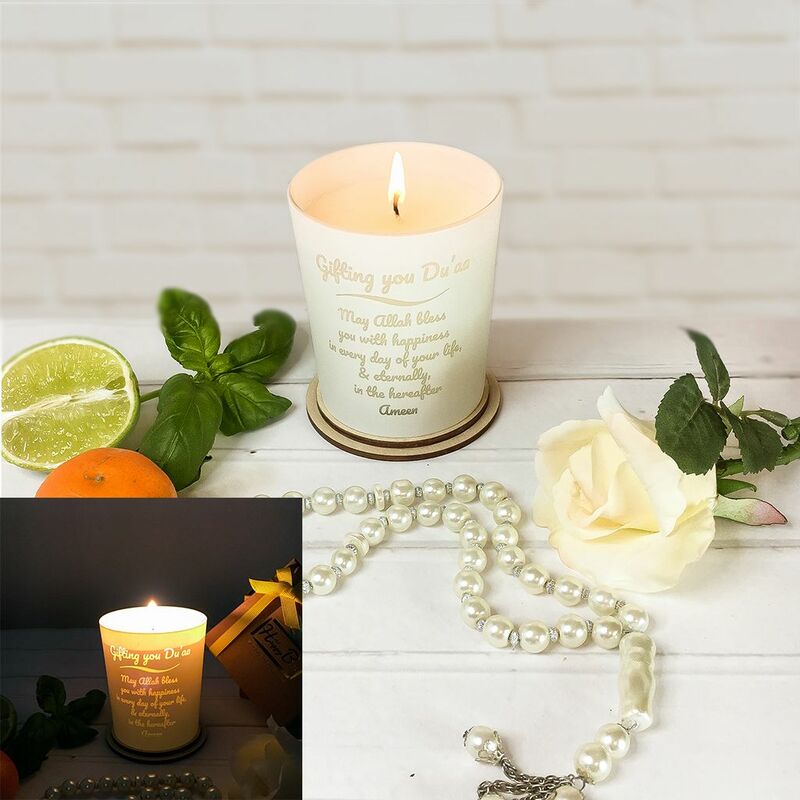 Glow through: A uniquely designed candle that allows the text to glow through when it is lit, giving the prayer a shimmering, flickering effect. Looks amazing in the dark! Scent: The scent is Lime, Mandarin and Basil - a combination of essential oils and scents known to uplift moods and make a person happy. Made: The candle has been hand poured in Kent, England, using high quality essential oils, mineral wax and cotton wick. Lasting time: Burn time is 40 hours. Re-Use: Once the candle has burned down, it can be emptied and used time and time again by placing a tea light inside the jar. Accessory: Comes with a wooden lid that can double up as a stand/base. Gift Packaging: The candle comes in a krafty cotton drawstring bag. Dimensions : diameter 8cm, height 10cm.